The old house sat back the lane. Once a log house, later framed and painted white. The young couple sat on the porch watching the comings and goings on Neff Road, a road more than likely graveled the same as the lane running off to the north of it. I think, had I lived back then, that I would have spent many hours playing on that porch. I can well imagine neighbors sitting in the front yard and on the porch catching up on daily new. Peas were shelled, beans snapped and babies were rocked by the women who loved them. I wonder who the man is running ahead of the others. The picture is creased and hazy, yet I strain to make out every piece of a history that preceded me. I have no memory of my parents at a young age. I have no memory of the front porch. I barely remember the backroom when it was the old summer kitchen, where soap was made and canning jars sat ready for the garden bounty. A time of horses. A time when a young farmer dreamed of a herd of milk cattle that would later be destroyed when disease traveled through the herd. A quieter time on a little road that even today has little traffic. I want to sit on that porch I never knew. I want a personal glimpse of that time in history that has captured the imagination of writers for decades. The house sat on the rise off Neff Road. It was another time when a porch looked out over the changing seasons. 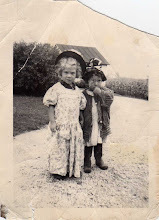 Today I'm posting the same blog on both sites. Perhaps the journey to Neverland start here. Here in this place where I currently reside. In this shell that surrounds a beating heart and soul that continues to sing. Perhaps, just perhaps, I will finally find Neverland. Sometimes I write, just write. Waking up every morning knowing that I have two blogs to write, writing five days a week all year long, often finds me a little empty of head. Writing about my home on Neff Road comes up blank. I wonder why I can't find something to write about considering all of the years I lived there. I should have at least eighteen years of stories. Yet often the page is empty. I've been a grandparent for twelve years. A parent for almost forty years. Yet, again, I find the page empty. So I do what writers do. I just write what pops into my head. Perhaps, just perhaps, my brain has something to say. Maybe I'm a little Peter Pannish. I've always was sure I could fly. I tried jumping off of bales of straw. No success. I managed to swing across a barn on a rope. Could never do it without the rope. Flying hasn't quite yet clicked in, I guess. I think at the end of my life I will fly just fine. My mind seems to jump at a moment’s notice to silliness. I love to play and laugh and maybe, just maybe, fight pirates. I'm not opposed to jumping on beds and singing. I've chased a few shadows most of my life hoping to capture my own. Lessons learned. Talk shows tell us about it. People write about it. And all of us experience it. We grow older. This age that I have finally captured has brought me to the edge of Neverland. Stress is coped with in new ways. Big issues seem to have shrunk over time. What was once important is now forgotten. Today is ever so important for it is a new day in Neverland. Today my brain is writing. My hands are following the thoughts. Perhaps the reader will understand. I think I'll read this and see if I do. The journey to Neverland has never been sweeter. I think perhaps today I will stand in the middle of the bed and crow. James and I have been talking about all of the places we want to visit when we are back home. Back home. Neff Road extends to all of the places I knew growing up. Greenville was as much a part of our lives as was Painter Creek. When my kids visited Grandma and Grandpa, they too made the weekly trips into 'town'. I have fond memories of Greenville Park. Fourth of July in the park, swimming in the pool, wading in the fountain, dances when I was a teen and picnics when I was grown. One of my favorite memories of the park greets me every morning on my blog. 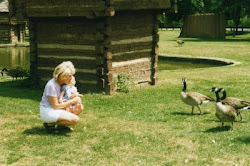 The picture of my granddaughter, Sydney, and me looking at the geese was a beginning of sharing nature with this new member of our family. Gabby asks where she is in the pictures. I promise her that someday I will take her back to see all of those things. These are the places of my heart. I want my grandchildren to know the history of their grandparents. I want them to look at the pictures and pass on the history. Yes, in a few days I will board the plane and head back to my roots. I will go to Greenville to be with family and friends. 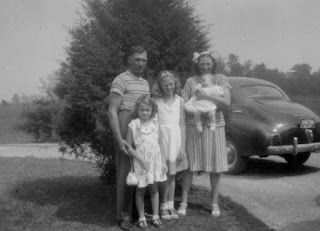 I will go to Garst Museum, Maid Rite, my great aunt's old home on Children's Home Road. Some of the old haunts will be gone or changed. But in my mind's eye, I will see the Greenville of my growing up. The place that saw me through piano, ballet, boyfriends and county fair. Places of long ago yet really not so long ago. Neff Road. A time. A place. A frame of mind. I looked at the picture again. For the last few hours, I had been scanning pictures from my mom's old photo album adding them to my computer. By putting them up on the computer, I can enlarge the pictures. A few more tweaks, and the picture can be enhanced. People who were once seen in a fuzzy distance are now seen more clearly. Old pictures become new once more. Pictures that I have passed by in the past come alive. Things I never noticed become exciting. Such was the case with one picture that has since become a favorite. 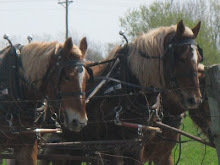 A picture of horses and riders. I have seen pictures of Dad's old Belgium horses. The beauties helped Dad farm. He talked about them often. Occasionally, Mom or Dad would be standing next to one of the horses with someone sitting on the broad back of the horse. Never had I seen any of the horses in motion. I was choked up when I saw the horses running next to the front lane. Suddenly, the house where I grew up became more alive with a history I didn't know. I knew that horses were ridden, that they were on the road, but seeing two people racing down the field made it all more real. 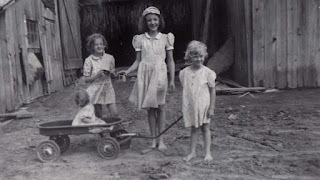 Older pictures that I saw on the farm were all posed or of gatherings of family and friends. This was one more bit of information. I cherish this picture. I love that the garden was still in that same spot to the west of the house when I grew up. I love that the lane I walked was once a place where horses raced. Years ago I read The Source by James Michner. As I read it, I knew it would become one of my favorite books. The story is about an archeological dig. Layers as far back as the cave man were built on over the centuries. Wars destroyed villages, and new generations built something new in the same spot. 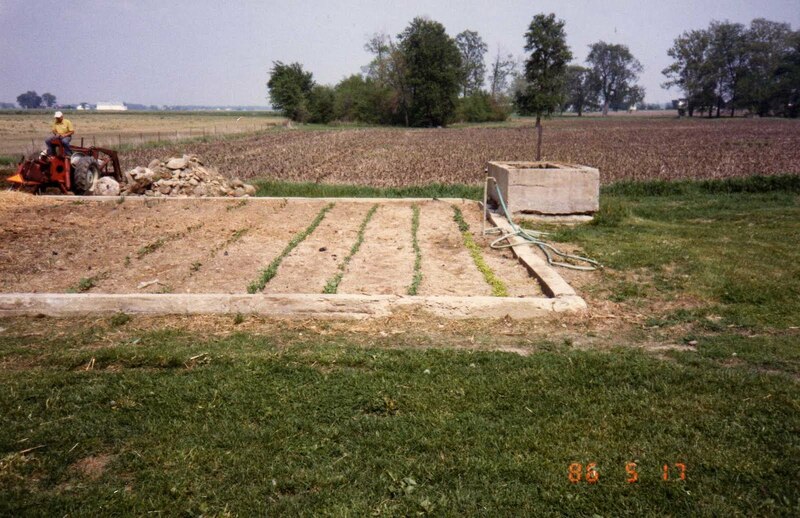 I have said in the past that our farm was built on Native American land. The remnants were evident every time Dad plowed the fields. However, there was transition in our time back that lane. 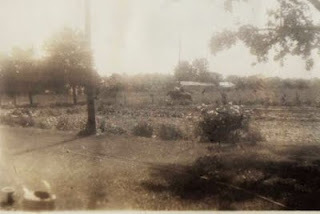 A time when a strip shed became a garden A garage became a grassy hill. A chicken yard became another place to mow. A grassy creek side became a woods. 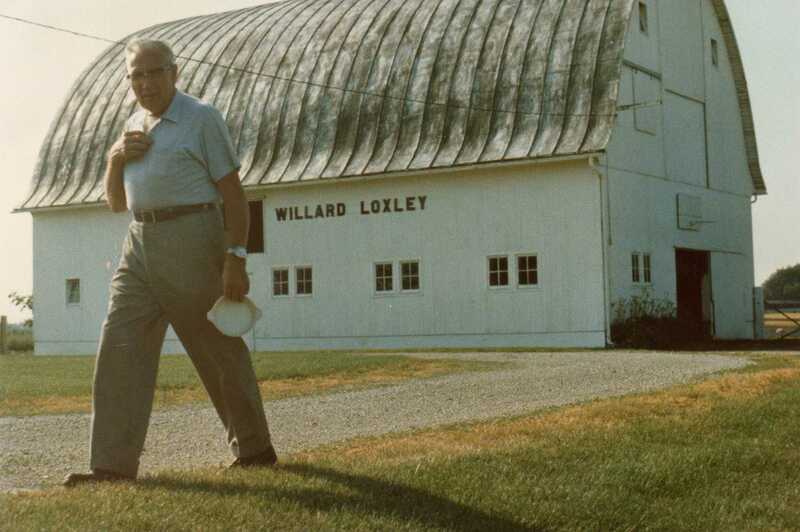 There were changes on that Loxley farm and more since the Loxley's left that land. 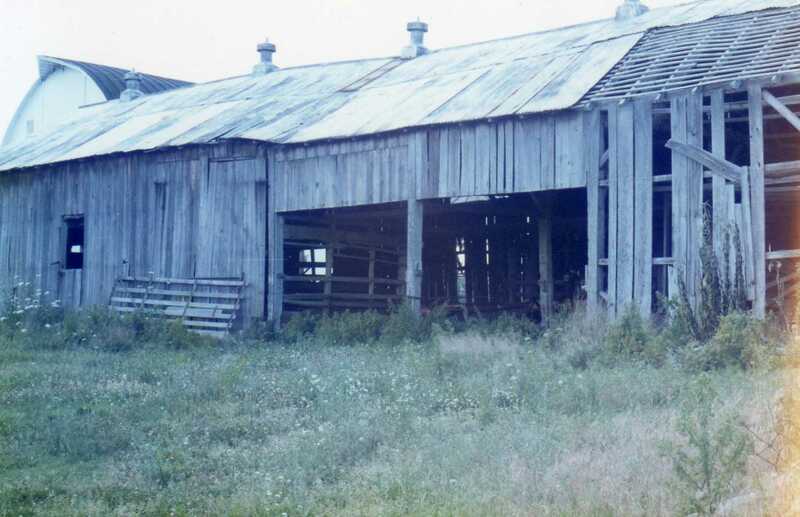 The old barn was probably one of my favorite places on the farm. The old barn probably held ghosts that called to me. I was never afraid in the old barn with spiders and critters running away when I walked into the empty shed. There was a peace inside the greyed wall. I could see the green farm through the broken boards and knot holes. When Dad said he was tearing it down, my heart ached. 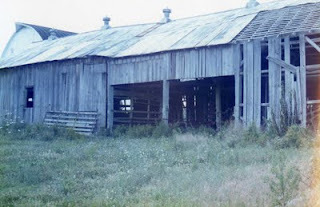 I could no longer sit with my friend, the barn, smelling the past, remembering winter time spent in the strip shed, sitting on the old implements in the back part of the barn and sitting with my horse, legs hanging over the floor of the barn through one of those missing boards. Dad and Mom put a garden in the place where the old shed had resided the decades of its life. The old garden spot turned into more mowing and their garden flourished where the old shed stood. On my last visit, I walked the yard for the first time since we walked away from it in 2001. 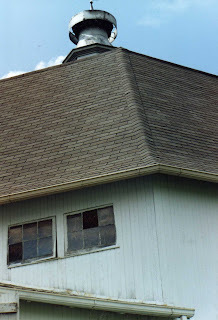 A new barn had been erected where the old shed and garden had laid claim. A new layer had been added to the once Indian land that lay beneath. The layers of the land were also layers of me. "Mom, I want to take Lisa back to the old homestead," my son said. He wants to take his wife back to the place where my grandfather grew up. 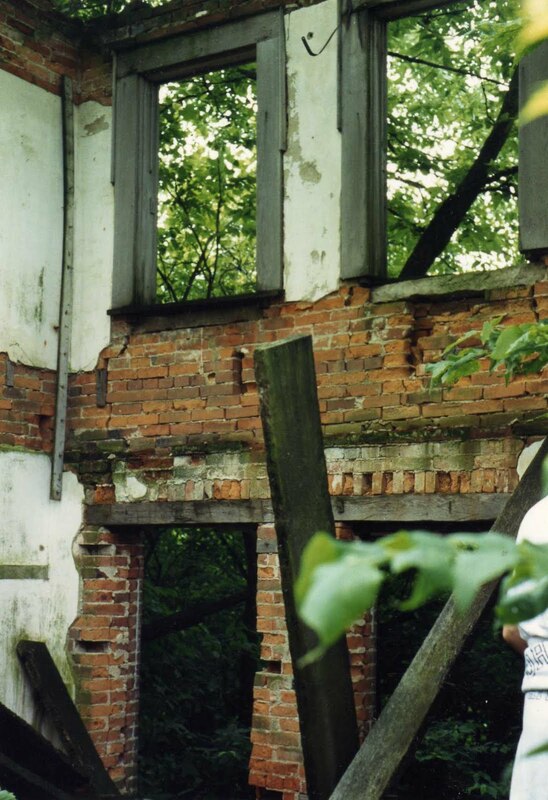 A home now in ruins that began when the house burned down long ago. James and I found the house on one of our trips back in the 80's. We carried old bricks back to the car, a piece of our history. "Do you remember where the house stands?" 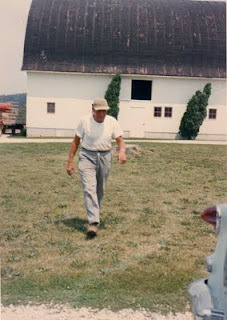 I asked him remembering that the homestead sat in the middle of the land my grandfather owned near Bradford. We found it the last time because Dad knew where to look. I wonder if Lisa has any idea of the adventure ahead of her. They will only be in Ohio for two full days before heading back to Oregon. A quick trip in for the wedding of a friend. I'm taking Lisa back the lane to see my once home. We will visit the cemetery and drive past the church. The time will be crowded with places to see and people to meet. They will visit Arcanum and Greenville. Lisa will know a little more about this family she has married in to by the time she returns to Oregon. My son will revisit old sites and realize how much things have changed. He has not been back since my mother passed at the turn of the century. Our history changed when my parents passed. The wind was taken out of our sails. The arms that embraced us when we stepped out of the car, the faces that greeted us when we drove down Neff Road, the places that had not changed during the years when the Loxley's lived back the lane are no longer there. Changes have happened on Neff Road.....but the memories into the past are still the same. Summer is here.....at least for today. The sun is shining and the temperature is 83 outside. So instead of sitting here writing my blog for Neff Road, I went out to play in the sun with my granddaughters. Every year I pack up something to eat and drink, a lawn chair, a good book, sunscreen and towels. Today we added squirt guns. We find a place under a tree where the girls park me and their towels. They then take off across the grass to the fountains in the park next to the library. Today the park was full. Full of children, full of sun worshipers and best of all full of the sounds of laughter. Each time I watch the girls dashing in and out of the spray, I think of the fountain in Greenville where we toddlers paddled around on bare feet. The swan spitting water down upon us. 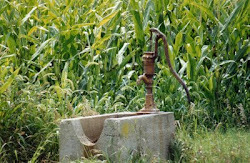 I remember running through the sprinkler at Brenda's house. Decked out in our bathing suits, we made for the water. It was a good day on the farm when kids were in water. Summer and fun seems to go hand in hand with water. Grand Lake, Stillwater Beach, Millersburg pool, Greenville pool, Sugar Grove. 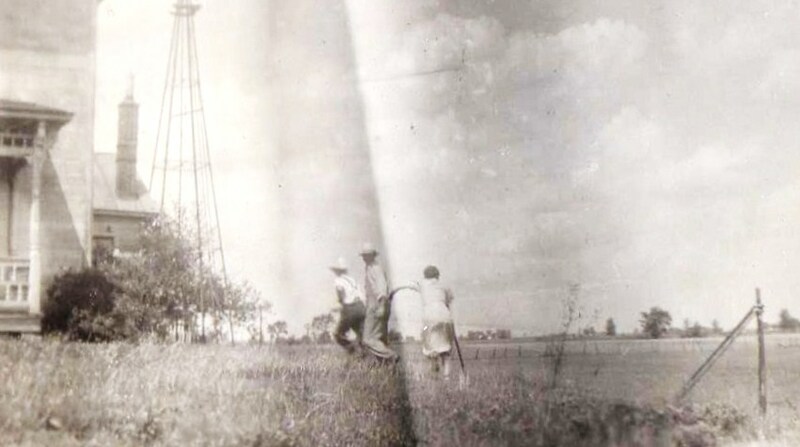 For a farm kid, these were the best times of summer. Days lolling around a pool was indeed a treat. One for which I was always grateful. Fountains, pools, a simple sprinkler most definitely mean that summer is here. Last one in is a rotten egg!!!! Two weeks from today I leave Oregon. I've been marking off the days, but now it is right around the corner. I fly in to see my sister then drive down familiar roads to home. Excitement is mixed with a sense of sadness knowing that things will have changed and some of the faces that usually greeted me are now watching over me. Familiar roads. Familiar faces. I ran across this picture of taken of those who helped to make my wedding back on September 9, 1969, very special. Friends, family, those who were more family than friends. I smile when I look at these women remembering wonderful times. Three are gone now. The woman on the left side was the wife of our best man who died a few years ago. A history of me in the faces on this page. I'm excited to catch up with old friends. I know that hugs and hand holding will greet me. I know that the love that they gave to me over my sixty-four years will be there once still. A marriage all those years ago didn't last beyond thirteen years, yet many of these friendships continued. They remained despite distance. They remained through the changes in our lives. I will drive familiar roads filled with anticipation as the miles tick off. I will hold on to each moment savoring the essence of another time and place, holding tight to those who once filled my heart with love and who reside there still. Familiar roads taking me to familiar faces. It wasn't the birthday greetings that made me smile. No, it was the years melting away and old friends back in my life once more. Facebook has brought Neff Road to Oregon. Mom would have loved Facebook. It could have been her own address book she updated daily. It would have been her diary, her letters to friends, a door connecting her to everyone she loved. They all would have been with her every day. I've been on Facebook for a long time. It started out with family and a few friends. Then, like many others, I discovered that I could find long lost friends, neighbors, classmates. The excitement caught me in its web and catapulted those friends into my living room. I was home again. I was making new friendships from old. Home again in a new way. There is a difference when you grow up in an area and the people are just people you see at school, those you play with, family that is just there in every day life. Getting older has made me appreciate those people much more. I want to know who they are as adults. I want to know about their families. Those I didn't take time to know better when I was young are now friends in a new, wonderful way. Friends of my sisters have become mine. Children who played in the basement back that lane on Neff Road are now in touch with me. Classmates I thought I would never see again are once more in my life. I have come home to Neff road in a new way. Mom would have loved Facebook. I know she would love that those people from the past are still in my present. My yearly story. A story of a day in the life of the Loxley family. Just another day....or was it? My cousin, Gene, loved to tell the story to me over and over again. I loved to hear it. 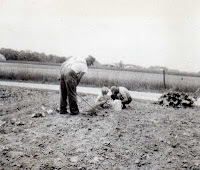 He would laugh telling of my grandfather running across the field and changing seats with my father on the tobacco planter. "I never saw Pop runs so fast!" he would tell me. "I just kept on driving. We didn't miss a plant." He was talking about the day they were planting tobacco and a little baby was insisting to be born. I love Gene's story. I've heard it for as long as I can remember. Dad used to laugh and slap his knee when Gene started in on the tale of my birth day. A tale often told and enjoyed. Mom had a hard time with the birth of this baby. I always knew that I was the reason for her often poor health. It was another story I've heard all of my life. 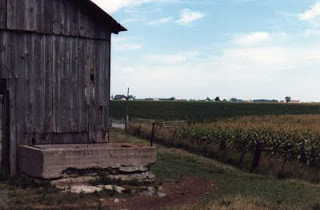 With a marriage in trouble, I returned to the farm for a month in 1976. I took my pain and confusion to the womb where I knew I would be taken care of, where my babies could be watched over and pampered. I returned not the rebellious child, but one knowing that I was home, home to two parents who loved me and would watch over us in a difficult time. Later in the 80's my children and I went home for the month of August.We had a wonderful time of enjoying the farm, the county fair and settling in the nest, the womb of my home once more. Today I think of Gene telling the story of my birth. I see Mom standing at the sink listening, remembering her own memories of that day. I'm a little disappointed that the planting didn't stop and everyone run to Piqua Memorial to be there for the big event. But, plants need to be planted just like babies need to be born. 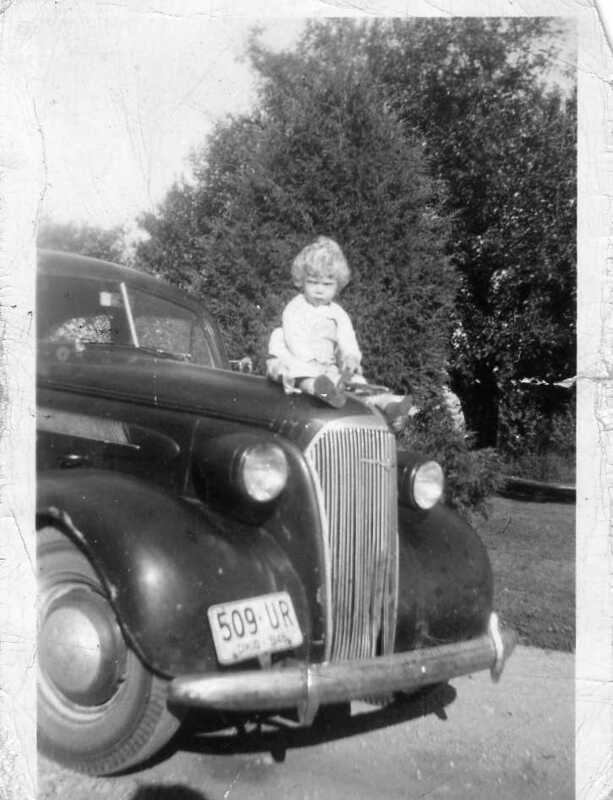 June 16, 1947.....a baby born to the nest on Neff Road. Dad picked up the blade of grass placing it between his thumbs. The shrill whistle startled his small daughter and probably stampeded cattle all over Neff Road. Who needed toys when we had nature. We rubbed mint between our fingers and inhaled the aroma. We chewed on the end of a weed looking a bit like an old farmer in bibbed overalls looking out over his fields. We picked dandelion greens for mom to add to our evening meal. And, best of all we enjoyed the bounty of the garden. I was just a little kid when Dad and Gene decided to weed the garden. 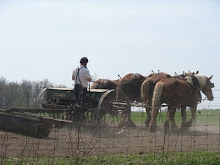 In looking back, I realize that it seems that no one seemed taught you many things on the farm. No, I think we just absorbed and did the best we could. So on this fine day, the men decided to allow little Pammy to help. My two favorite men were all mine in the garden. A proud moment. Even the best laid plans seem to go astray when children are involved. To my defense, no one told me what to do. I was just expected to pitch in and help. I remember the moment clearly. Gene looked down at me and said my name. It wasn't a nice saying of my name. It was more of a "that damn cat" kind of saying of my name. Dad looked down and yelled at me. So what if I was surrounded by small green weeds. I pulled out every one I found. No need to yell! From that point on, I was never invited to step into the garden to assist in maintenance. I was banished to the house where Mom just chuckled. Perhaps we children would have stayed out of trouble more if someone would have taught us the rules in the beginning. So what if I pulled out the row of beans. I didn't like them anyway. Old newpaper clippings. They are a history unto themselves. Yellowed paper folded and tearing from the years in storage. Fragile pieces of history clipped by the hands of a distant relative. The clipping cut. The cutter not thinking to add a date. My great grandmother died after a fall at her sons home. She suffered a fractured hip. I'm not sure how she died from a fractured hip, but I'm assuming there might have been more. Seems like a good number of people died from falls way back when. In England, new-born baby boys have an average life expectation of 59 years, while girls have an average of 63 years. At my 64 years, I'm glad I live now and not then. The French army's methodical advance into German territory has straightened out their line and been 'completely successful'. The government, meanwhile, is accelerating the calling of of British militia men. The ministry of information announced that while the order of calling these men of age, oldest first and youngest last...will be adhered to, they will now be called up more rapidly than originally contemplated. The convoy system in which warships protect merchantmen is being put into effect more rapidly each day and government experts believe it will be successful as it is during the World War. The British news seemed to share the paper along with local. Maybe it was because of the time. The paper then was, along with the radio, the only ways for the public to gain information. My great grandma died and a world was at war. Life spans were shorter; however, my great grandmother lived to be 86. Good job, Grandma! What will reside on our papers we save. The clips of weddings. The obituaries. Birth announcements. Or, will the information be saved by scanning them? Perhaps we would miss the unexpected history on a yellow scrap of paper. The Old Order Church sat on the corner. Whenever we drove past, I looked wondering what the church was like inside. I knew that there were no electric lights. I wondered how they kept warm in the winter. The old outhouses sat out back. 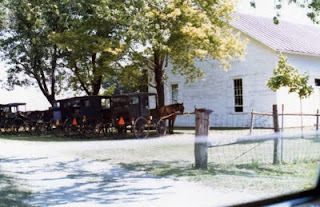 In front of the church were the hitching posts. Little did I know when I was growing up that the old church was indeed a special landmark of our little part of the world. We grow up not realizing the points of interest that surround us. One room school houses dot the area, but we never thought of their historical worth. Some had turned into homes. Some were even storage buildings. Still they sat by the road waiting for us to notice. Old Bears Mill was preserved calling tourists to visit. The historical buildings surround us became points of interest. My grandfather's barn landed on the historical registry. A rich history surrounded us, and we barely noticed. For me, the old farm houses draw my attention time and time again. Many have been remodeled. And, to my satisfaction, there are those who preserve the integrity of the original home. We lived in historical buildings. Our home was originally a log house. Yes, everyone who lives in an older area has history surrounding them as well. It is that recognition, the thrill of knowing that we were part of it. 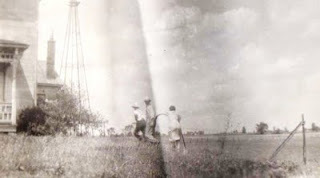 When I do research online, I smile when I run onto a bit of history or a picture of the area around Neff Road. 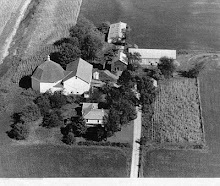 I look at posted photos of the old grain elevator, my grandad's barn, the Old Order Church, a house where Wetzels lived when I was a child. All part of my history. I love driving through Greenville looking at the old homes. Oregon doesn't have a history as such. This is a state built on logging, fishing and waterways. 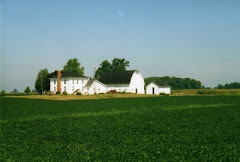 There are old rambling homes in Portland, but the country side is not dotted with old farm houses like those in Franklin Township. The history here is different. Perhaps the old pipes clank, floor boards creak, the lane is gravel and the house is cold in the winter, but you are living history, a history I love to look back on. The changing landscape. Old farm houses replaced by new. Thick woods are thinned and houses now tucked away in them. Towns spread, new streets added. Old stores become new businesses with coffee shops replacing department stores. Schools are bulldozed while new, larger schools rise up from the ground. Nothing ever stays the same. I know when I return to Ohio, the landscape will have a few differences from the last time I was there. It will make me a little sad to see some of the changes for my memories lie in those places that are no more or that have morphed into something else. I have been away. My daughter-in-law is excited to see the house back the lane on Neff Road. She wants to see where the memories took place. To be able to share in those places that hold my son's memories of his childhood visits to the farm. My son will not go back to the house again. My sisters feel the same. Even though it is very difficult for me to return to that porch, the yard, I cannot imagine never going back to the place that raised me. The changes make it easier for me. 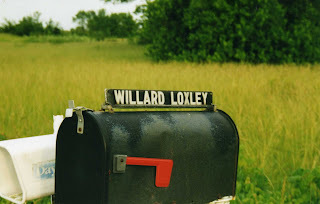 It is no longer the Loxley farm. It now has horses and buggies in a new barn. Children now play where the children before are grown and moved away. Changes are inevitable. They represent an area still alive with new families moving in. They represent growth in a community. They represent keeping up with the trends and times. I, too, have morphed into someone different. My return is not to recapture a past, but to embrace the now of Neff Road. The little girl who once played in the barn now is a grandma who has spent most of her life in Oregon. I found that in this journey forward from my youth, I have once again found my past. 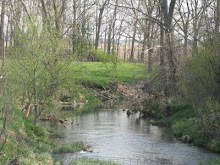 In twenty-nine days I will be back in Darke County. I'm excited to see the changes in Greenville. I will go to the wedding of the daughter of my best friend. I plan on a few coffees with old friends at Smith's in Arcanum. Many of my classmates will meet up at a friend's house to catch up on the decades past and laugh at the memories of kids who shared those years at Franklin Monroe. Wonderful time will be spent with my family there. I will go to the Brethren Home and hug every one of those people I love. Things never stay the same. For those of us who move away, we notice those changes. Perhaps those changes make the memories that much richer. I go, a changed woman, to embrace my roots once more. I will be home again. Love my books. I usually read two at a time. One rides in the car. One hangs out next to my bed. I get an author I like, and I read all of his or her books. My authors need to keep up with me, because last week I had to reach beyond my author boundaries to find a new one. I went to Powell's books....new and used. I wandered down the mystery section hoping to find a cover that caught my eye. Red barn. Snow in corn field. Old farm house. The picture looked like a house my friend Brenda once lived in. I looked at the back of the book reading the teaser. Amish girl returns to Painters Mill, Ohio. Well, this book was going home with me. Painters Creek, Millersburg, the Advocate, Horner, Sebring, Deterich. And that was all before my current page 63. I checked the author. No one I knew; she lives in Texas. I usually skip over the acknowledgements, but decided to take a peek. For technical assistance, Police Chief Daniel Light of Arcanum, Ohio, Police Department was thanked. Arcanum. Neff Road has an Arcanum address. Their is only one Arcanum in the entire world. Hm. The book is fast moving, a bit raw and set on my turf. So close to home that it almost feels real. I decided to send an email to the author. I'd love to know more. I want to know how she is connected to my 'home town'. Well, I don't have time to write right now. I need to get back to my book. I need to finish it so I can read her next book. Check out Sworn to Silence by Linda Castillo. It took a few minutes for it sink in. We all heard it. No one said anything for a few seconds. "Was that thunder?" I asked. Sure enough, a thunder storm was on the way. Now in most parts of the country this would be no big deal; however, for all the rain experienced here in Oregon, we rarely have lightning and thunder accompany it. The girls have probably only experienced such storms a couple of times during their lives. This storm would be another to add to the short list. Gabby was afraid. Not so for Sydney and me. We ran from window to window watching the storm develop. Hail hit the roof and lightning flashed. I was back in Ohio once more. On visits back to the farm, the kids sat on the back porch watching the storms. I'm sure Mom and Dad wondered at these children who rarely saw such storms. They danced in the rain until someone yelled at them to get out of the weather. Didn't they know about lightning??? After all these years, James still talks about Ohio storms. The storm passed quickly. Gabby wanted to learn more about thunder. Stories ranged from God bowling to moving furniture. She was sure she heard Him make a strike. I guess God is a good bowler. For me, each rumble was a rumble from home. We're tough girls, we farm girls. I realize it more and more all the time. Maybe tough isn't the word. Perhaps there is another word, but I'm at a loss for another at this time. I have taken more spiders out of friends and relatives homes in order to save their little lives from being a flat spot on the bottom of a shoe. I try to teach my granddaughters to understand nature and not to be afraid of it. I don't mind digging in the dirt, tossing aside an earthworm, smashing a slugs. I don't mind getting muddy to plant flowers and shrubs. I love to rake leaves and toss them into the air. Who wouldn't!? So did the farm make me tough or did I just grow up to be unafraid? I learned from my dad that spiders have a necessary place in the eco system. I learned that earthworms till the soil. I learned that they also lured fish to my fishing hook. I learned that mice are disgusting and still scare the bejibbers out of me. But all in all, I'm a pretty tough girl. I like that I'm not afraid of work. I love that I understand the soil, the roots, the moss and lichen. Are we tough? Maybe we are just the mothers of nature. Maybe we answer the cry the same as we would a hungry child. We look at the plants and decide what is good for them. I know that I look at aphids as critters attacking what is mine. There is no room for intruders. I just felt a bump in my arm. I am assuming it is a muscle. My arthritis seems to make the calls on what my arms can do...or not. My mother worked her hands to the bone. Her body suffered for it. I try to be kind to my body as well as the earth. Maybe we are tough. I think I like that term. "Grammy, here's a spider," Gabby yelled. "Come save it." Hm. I think I'd better check my other arm.